Mendoza is the capital of the Mendoza province in Argentina and it’s also the capital of the wine production and distribution for the entire country. 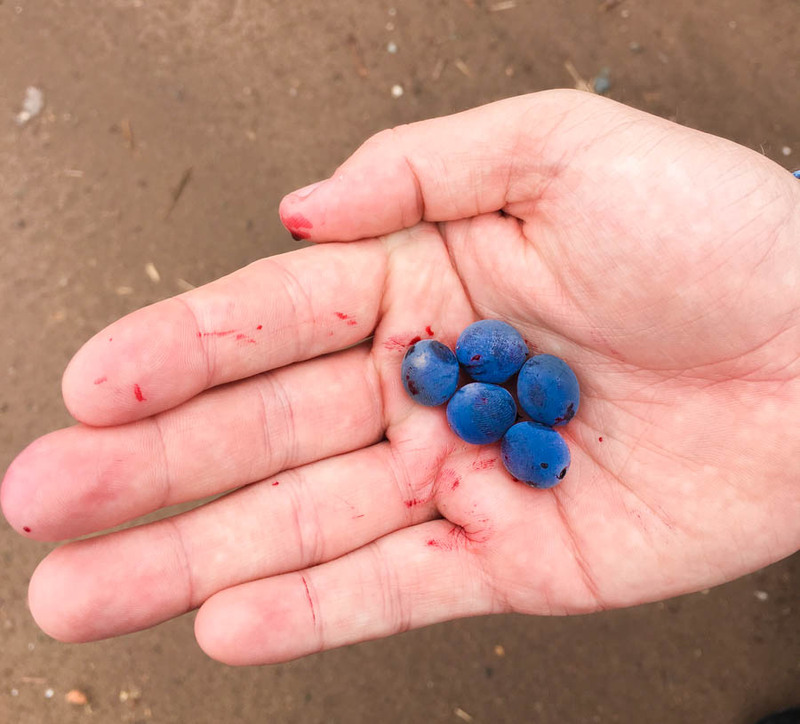 The nearby Lujan de Cuyo and Uco Valley districts are set at the foot of the Andean mountain range between 2,800 – 5,000 meters elevation, a surprising high-altitude sweet spot for growing world-class wines. Mendoza produces a lot of wine. Nearly two-thirds of Argentina’s wine production comes from this province and some wineries in the region (like Norton) produce upwards of 10 million litres of the delicious grape drink every year. But there’s more to this wine-crazy city than just Malbecs and Merlots. As a university town, there is a young and eclectic vibe and a thriving nightlife scene. In the center of town there’s a wide boulevard lined with great international bars and restaurants. Flanking one side of the downtown area is an enormous park and there are some beautiful hiking opportunities nearby as well. 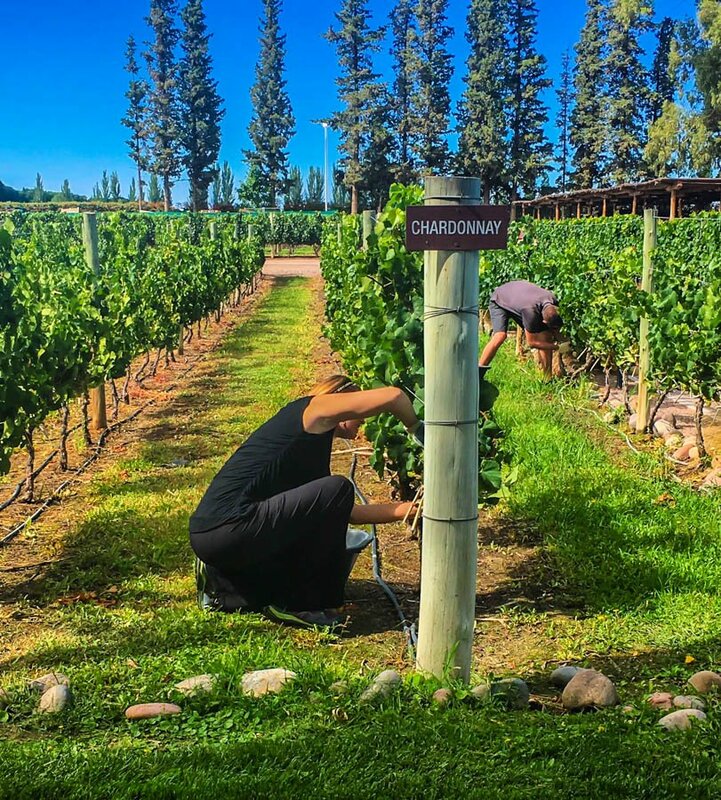 While Dariece and I did (over) indulge on the wine in the region, we also experienced much more than just sniffing, swirling and sipping in the town of Mendoza. We rented a car for 5 days and explored the city and the nearby landscapes. 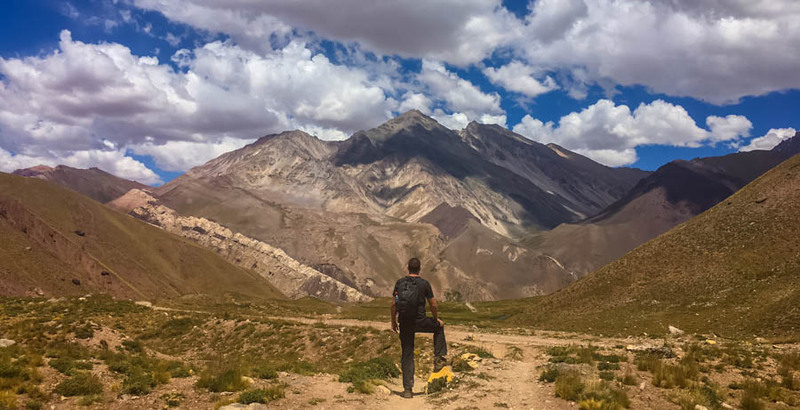 In this article, I’m going to share with you the highlights of our experiences so that you can make the best of your next trip to Mendoza, Argentina! Okay, I’m going to cover more than just wine, but this is Mendoza, so let’s start with the good stuff. The wine here is affordable, world-class and incredibly delicious. Mendoza is renowned for the Malbec grape variety, which produces a thick inky purple wine with robust tannins, powerful dark fruity notes and a velvety texture. I’m trying to sound like a connoisseur here, but in all honesty I fully agree with this description and I’ve drunk enough of this wine now to consider myself an expert. 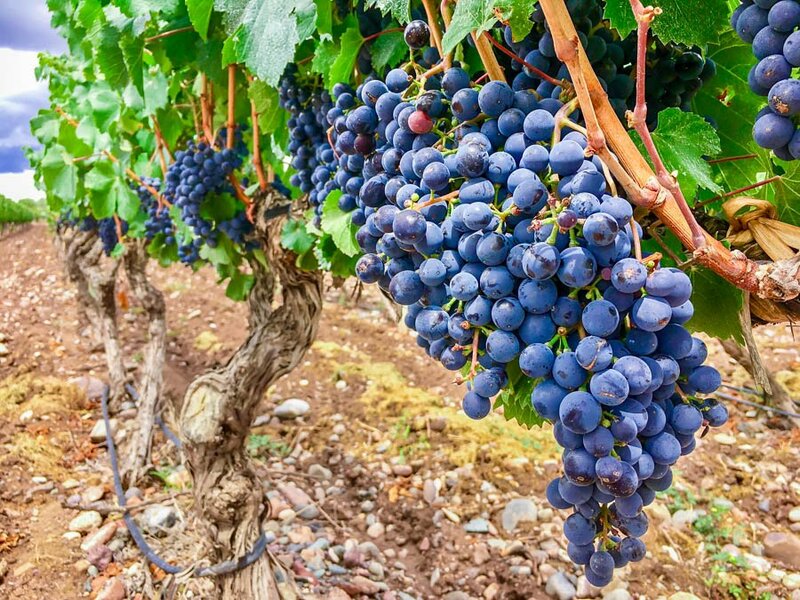 Malbec is Argentina’s “national variety”, but Mendoza also produces excellent Tannat, Cabernet Sauvignon, Merlot, Tempranillo, Pinot Noir, Chardonnay, Torrontes, Sauvignon Blanc and many more varietals. 2009 Monte Cinco Malbec (205 ARS / $13) – The regular Malbec is better than the reserve. 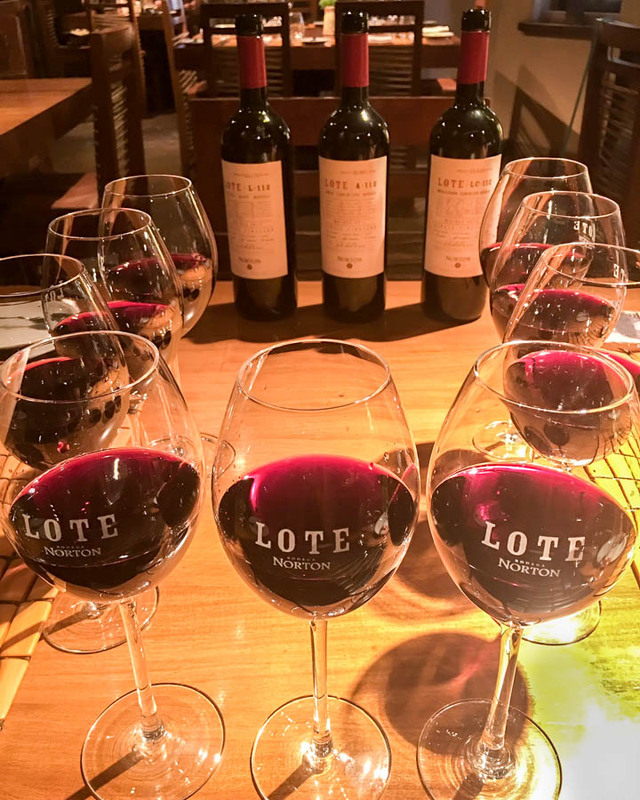 Of course, with so many wineries around Mendoza, there are far more than these bottles to try, but out of the (many) that we tasted, these were our favourites from the region. The best way to try wines for yourself is to do a wine tasting and tour at one of the 1,000 or so nearby vineyards. 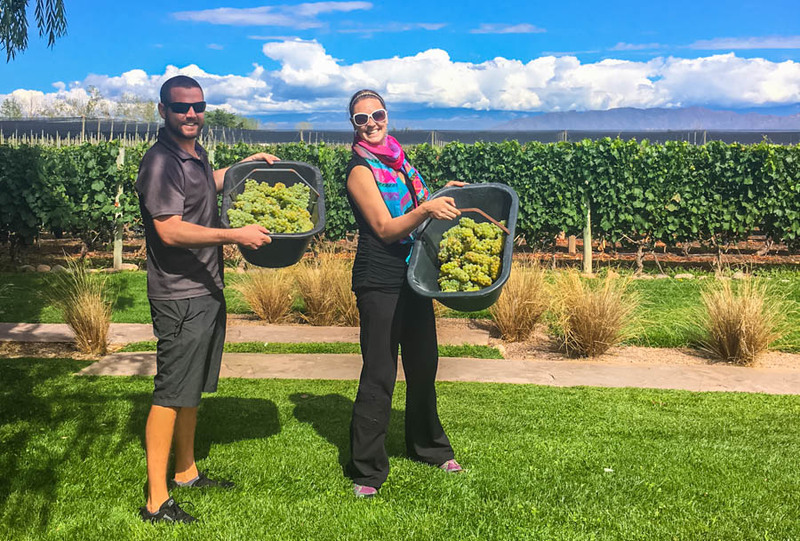 Tours usually last around 4 hours and include a guided walk through the vineyard, the production facility, the fermentation area and the cellar, as well as (fantastic) lunches and wine tastings / pairings. Prices are high in Mendoza, especially considering that many wine regions around the world (like South Africa and parts of France) offer free tastings and cheaper lunch menus. Nevertheless, if you want to experience wine in Mendoza, we highly recommend doing a wine tasting, pairing and vineyard tour. When will you be back to this part of the world? In my honest opinion, the food and wine is so good that it’s worth every penny of the splurge. 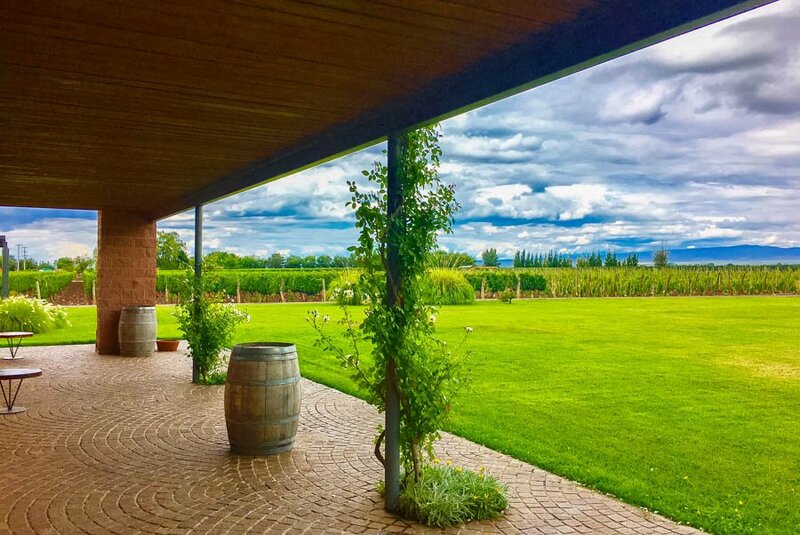 This Swarovski-owned vineyard offered our favourite wine tours that we found in all of Argentina, not only because the 2012 La Colonia Malbec was phenomenal, but because of the many different activities on offer for guests. After doing nearly a dozen wine tastings and tours around the country, it was refreshing to have a different experience at Norton. Here we were able to prune our own vines, collect our own grapes and watch them get crushed. We produced our own (delicious) Goats On The Road wine blend, tasted some amazing Gran Reserva wines (18 months or more in oak barrels) and enjoyed an excellent lunch and an informative guided tour. There are 12 Experiences on offer at Norton, averaging at around 1,200 ARS ($75) per person. We recommend the “Working My Land” (1,300 ARS), “Winemaker For a Day” (1,300 ARS) and – of course – “The High-End” (1,600 ARS) wine experiences. The latter gives you the opportunity to taste the best of Norton’s Gran Reserva wines. Ruca Malen offers a couple of different types of wine tasting and tours, and they’re excellent. The regular tour includes a winery visit and a decadent wine pairing menu. First you are taken to the resident garden which is full of fresh herbs and produce, then you explore the production plant, the bottling factory, the fermentation tanks, the laboratory and the cellar, before ending the tour on the single best wine tasting and pairing menu we’ve ever experienced. 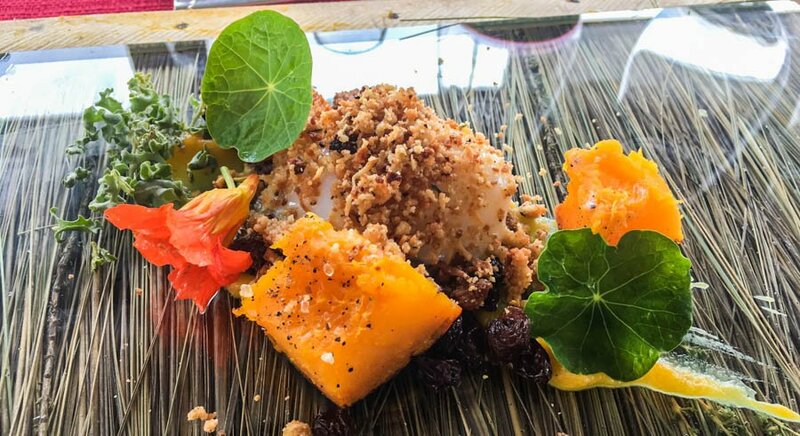 While you sit in a glass-walled gazebo overlooking the vineyard, the resident chef makes trips back and forth to his prized garden where he picks fresh, locally grown ingredients for each of the 7 courses you’ll experience on his menu. This truly is an “experience” and the food was so good that we wanted to return again the very next day. The tour costs 1,100 ARS ($70 USD) per person, and it lasts around 6 hours. This price includes both the informative tour and the 7 course pairing menu. We also asked for refills on all the varietals and were never turned down. Bottomless Gran Reserva wine and a long-half day visit makes this tour a great value. As this winery is one of the largest wine-producer in Latin America and one of the biggest distributors worldwide, it’s probably worth a visit! We made the calls and did the research but didn’t manage to visit Trapiche during our stay. When we called them, they only had the 900 peso lunch and tasting option available. 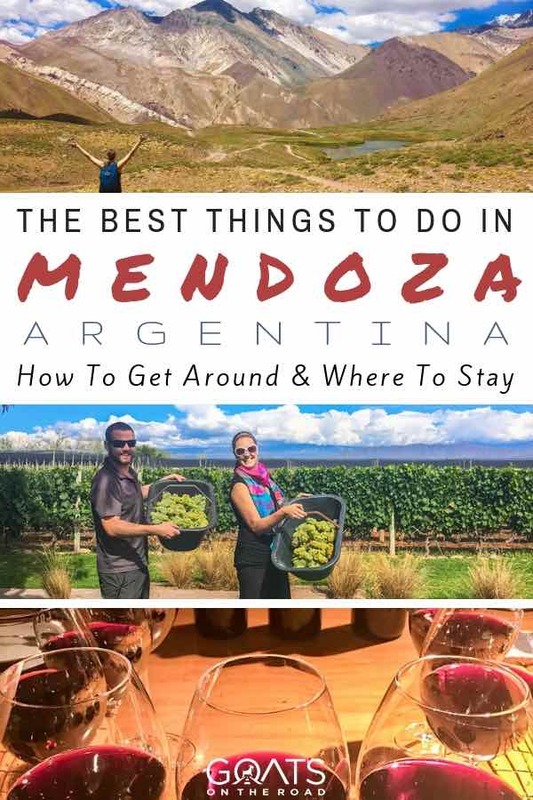 Seeing as the vineyard tours are a bit expensive and you need to take a bus or rent a car or bike to get to them, those on a budget may want to just visit some of the Wine Shops (Vinotecas) in Mendoza town. This place had a nice setting, tasty wines and great food. 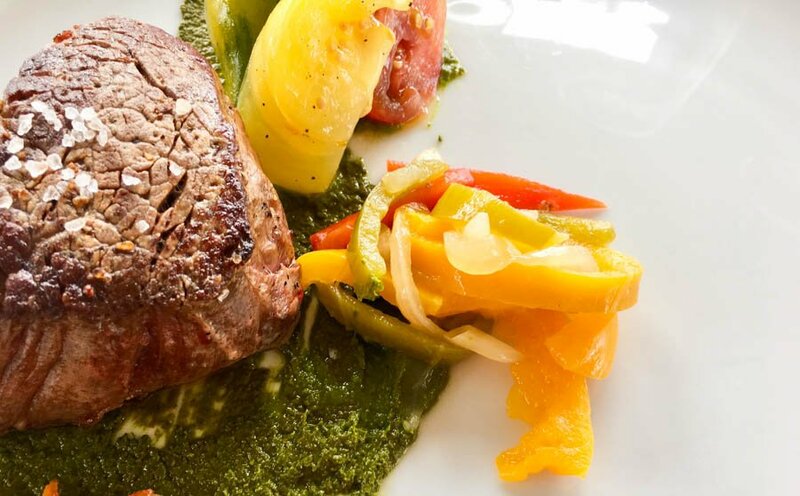 Don’t miss the outstanding rib eye steak and tasty empanadas. We had a rib eye steak, large salad, empanadas, bottle of wine and water for 750 pesos ($50). Without a doubt, our favourite wine bar in Mendoza and second favourite (next to Bad Brothers in Cafayate) in all of Argentina. This place had delicious and affordable wines (get a bottle of the Zuccardi Q Reserva for $20), and great food. The place is really funky too with a spiral staircase leading down to a small cellar with one table setting inside. There are many more tables around the oak-scented restaurant and outside on the busy street. Large and filling meals cost around $10 – $13 each, you get free bread as an appetizer and the wine is almost the same value as you’d find in the wine shops. Incredible. This tasty seafood restaurant is set in a beautiful modernist-style building with massive windows facing out to the busy bar street. The seafood pasta here is fantastic and their daily wines are of good value. This is a bit of an expensive day trip. Although you could take the bus or hitch hike, it’s definitely easiest (and most enjoyable) to rent a car for the day. Aconcagua Mountain Stayed Behind Clouds on Our Visit, But This Peak Showed Off For Us! The drive to the Aconcagua National Park is breathtaking and takes around 2 hours. When you get to the park entrance, you have two choices, you can pay the full entrance fee of 300 ARS ($20 USD) for full access to the trail. This full price will allow you to go all the way up to Aconcagua Base Camp, about a 6 hour return trip. 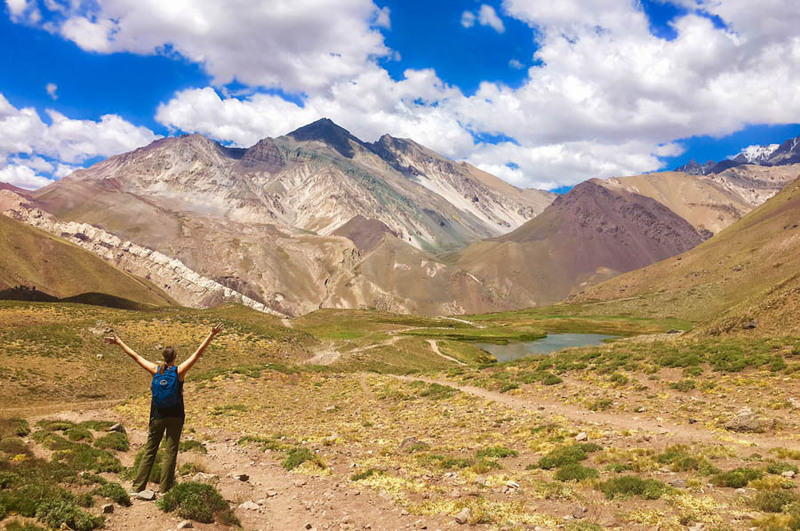 If you want to do the entire hike, you’ll have to leave early from Mendoza town because the park requires you to be back down for check-out at 4:30. 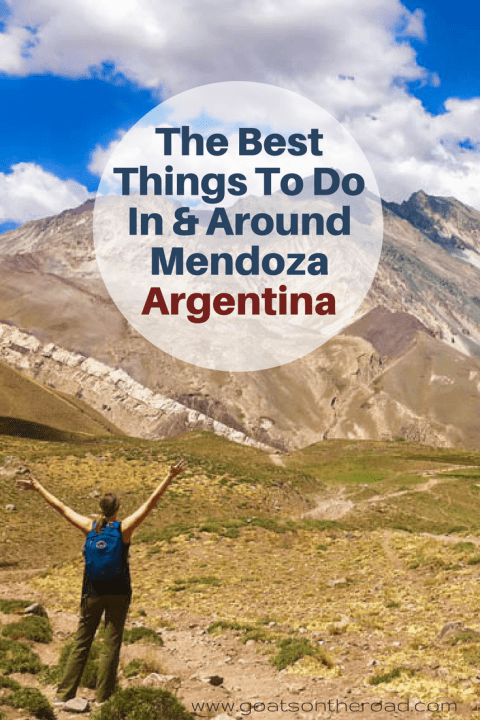 You would probably make it in time if you had your own car and left Mendoza by 7am. Alternatively, you can pay just 20 ARS ($1.30 USD) to walk from the park entrance to the trailhead. This walk still offers beautiful views of Aconcagua mountain and the surrounding Andes and takes around 2 hours return, but once you reach the bridge that leads to the steep hill to Aconcagua Base Camp, you’ll have to turn around as you aren’t permitted to pass that point without the full permit. We came late, paid the full $20 and only made it to the bridge before having to turn around anyways. Don’t make the same mistake! Either give yourself time for the full trek, or simply pay the 20 pesos for the cheaper hike to the bridge. The Mendoza river has Class III rapids and there are a few adventure tour operators in town that can take you out on a trip. With a backdrop of the Andes mountains, this would be a pretty memorable place to hit the water. After drinking yourself into a stupor and rafting and hiking around Mendoza, you may just want to relax and soak your sore muscles. The hot springs at Termas Chacueta, about 45 minutes from Mendoza city in the town of Chacueta, are said to be the perfect place to do just that. Mendoza isn’t really a city of “sites”. It’s more about eating at nice restaurants, sampling wine, exploring vineyards and hiking in the nearby mountains. There are a couple of things that you can check out while exploring the city though. This 393 hectare (971 acre) park has 34 sculptures decorating the paths and roads and makes for the perfect place to stroll, run, cycle or just chill out in the shade. There’s a manmade river running through the park where rowers often practice and there are always people enjoying the natural space. A typical plaza in Mendoza, there are a few benches and a nice area for chilling. After massive earthquakes rocked Mendoza in 1961 and demolished most of the city, architect and engineer Julio Balloffet reconstructed the urban area with large plazas (like Plaza Independencia) so that residents could find shelter during future quakes. Independence Plaza is the largest and most beautiful plaza in Mendoza and makes for the perfect place to relax, eat ice cream and people watch. We’re not really museum-goers unless they’re must-sees like the High Mountain Archeological Museum in Salta or the Museo Nacional de Bellas Artas in Buenos Aires. If you want to soak up some art, history and culture instead of being in the outdoors, check out La Enoteca Museum, Museo del Pasado Cuyano & Museo Casa de Fader. Hike up this footpath to a lovely statue and stunning views over Mendoza city. The views are only good when there are no clouds, so pick a clear day for this one! We stayed at Raices Aconcagua Hotel (not sponsored) and loved it. We found a crazy deal on Booking.com and got a superior king room for around $55 USD / night with breakfast, and there’s an outdoor pool as well. 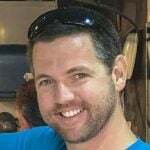 Booking.com has a bunch of other options, click Here to see the best ones they have on offer. Mendoza is a big city, but you can easily get around via public transport, walking, Ubers and taxis. To get out to the wineries and nearby sites you have a few options. Bus Vitivinicola has a hop on/hop off bus service ($600 ARS / full-day, $500 ARS / half-day) that picks up passengers from designated areas in the city, drives out to the Luján de Cuyo countryside (around 40 minutes) and allows tourists to visit up to three wineries in a single day. You’ll have to pay for each individual tour, lunches and tastings on top of the bus cost (these aren’t free or cheap in Mendoza). It’s vital that you check wineries availability before hopping on the bus as Vitivinicola doesn’t offer booking service for the tours and the bodegas are often fully booked. There are ways to get to Aconcagua by public transport but it’s convoluted and if you miss the return journey you’ll have to hitch hike. It’s best to rent a car or go on a tour for excursions outside of wine country. This is how we chose to see the wineries and sights around Mendoza and we highly recommend it. We rented through Localiza and they have cars starting at around $50 USD / day, which is a pretty good deal by Argentina standards. Use the Google Maps App to navigate your way to each winery and have a designated driver. That would be the only real downside of car rental for wine tastings. Obviously the driver can’t have 10 glasses of wine…but the passenger can! With this option, you can have the car for your entire stay in Mendoza and use it to get out to other sites like the Aconcagua mountain trail. 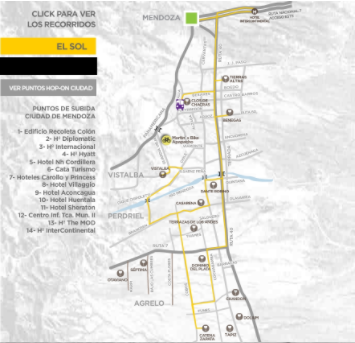 This is the cheapest way to visit the wineries of Maipu and some (closer) parts of Luján de Cuyo region. Hop on the city buses from Mendoza to Maipu (numbers 171, 172 & 173), then get off in Maipu and rent a bike for around AR$100 ($6). We didn’t rent a bike here, but Maipu Bikes ranks pretty well on Trip Advisor. It’s worth noting that temperatures can climb to 40°C in the summer time so be sure to bring lots of water. Many bike rental shops will give you your first bottle (and a handy map) for free with the rental. This is an excellent option because it’s cheap and relatively safe. If you’re drinking (a bit) and riding, it’s marginally better than drinking and driving. 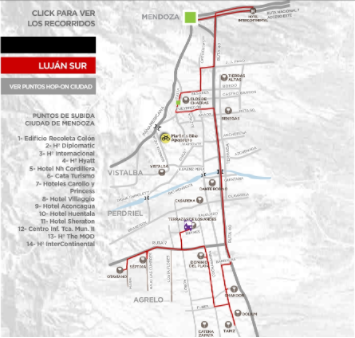 You won’t be able to make it all the way to Aconcagua Mountain and back in one day on a bike, but it’s a great option for the nearby wineries. This will be one of your most expensive options. 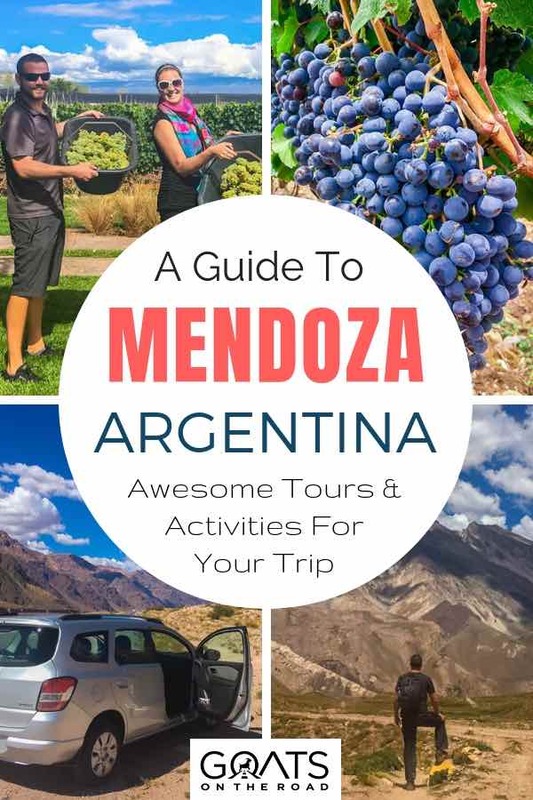 The wine tours around Mendoza typically start at around $180 USD per person and you’ll have to go with a preset itinerary. If you choose to hire a private driver, you’ll pay around the same price, but you’ll also have to pay for all of your wine tastings and lunches, where the wine tour option will include this in their day rate. 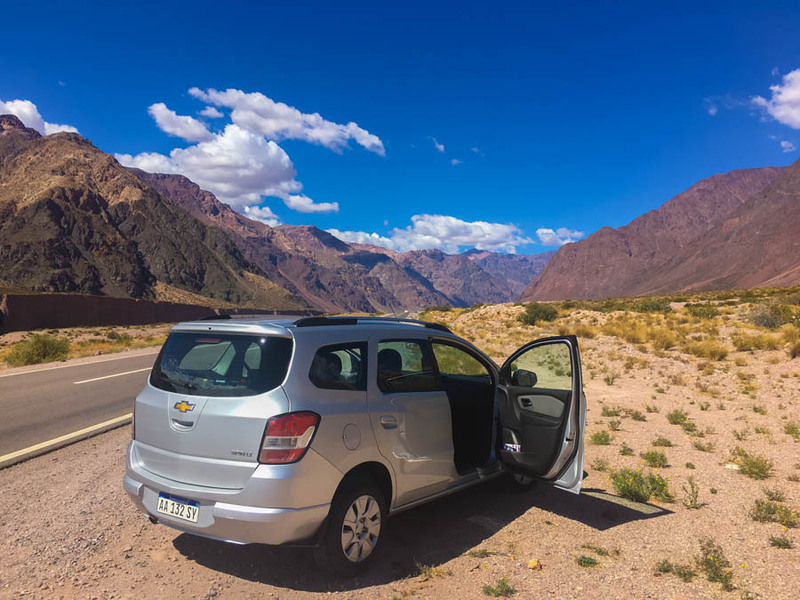 There are also private tours to Aconcagua Mountain and other nearby sites, but these are expensive and (if you’re not scared of driving on the modern, wide highways) it’s worth it to just rent your own car and do it yourself. We loved Mendoza. 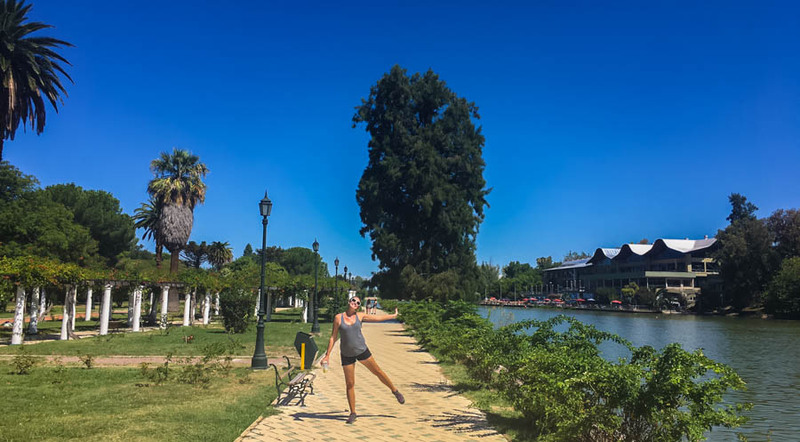 We knew that we were going to enjoy the wine, but we were surprised by the energetic city, the funky bar scene, the beautiful San Martin Park and the nearby hiking at Aconcagua. We definitely do recommend renting a car for this part of Argentina. $50 – $60 / day may seem expensive compared to car rentals in other parts of the world, but if you can join a couple of other travellers, it’s really not that pricey. Also, when you take into consideration the cost of public transport and tours, a car will actually save you money. We could’ve stayed much longer in Mendoza. There are so many wineries that we wanted to visit, but also there was a lot more to do (sin vino) than we had originally thought. Even if you’re not into wine, Mendoza city is nice and there is enough to do here to keep you lingering for a few days. Good to know that there are things other than wine tasting around Mendoza! And that steak looks “to die for”!!! haha, it was sooo good! And to be honest, we weren’t sure what else was on offer in Mendoza before going there, but are glad we had a car to explore! Can’t believe we missed this opportunity to visit Mendoza! We passed right by it on our way to Santiago. I love a good malbec. Oh My the wine in Mendoza is great. Cruise around on bicycles and just enjoy it! Two things about Argentina.. The Costillas and Vino. Thinking of going back there this year sometime. Thanks for sharing your experience with us Nick. This post will help the traveler those are planning to travel in Mendoza. The pictures are looking beautiful in this post. 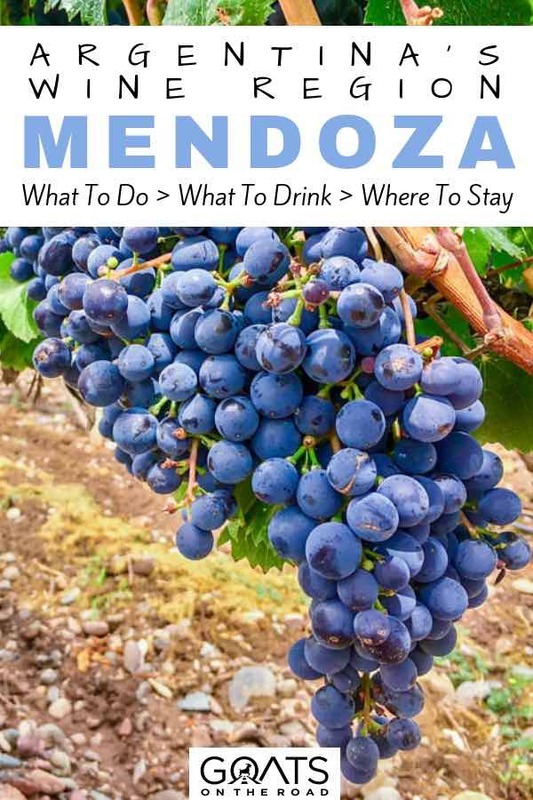 This is a really useful and thorough guide to Mendoza! There’s some great information in there. I love the Ruca Malen winery too and the Cachueta Hot Springs. Thanks!